The Amble Youth Project (AYP) would like to thank everyone who helped Liam Shipperlee raise money for our work when he took part in the Mad March Mare. 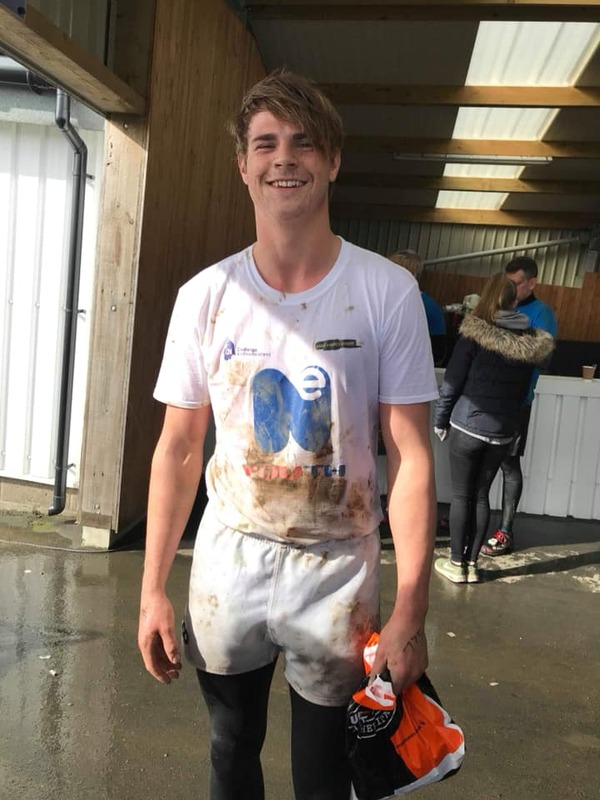 On 2 March, he joined hundreds of others in the NE Youth event and waded through deep, cold water, climbed steep obstacles and ran for miles. It was a gruelling challenge. Although this wasn’t about who could come first, we are proud of his efforts of completing the challenge in one of the fastest times of the day with 1hr 2 mins. Every one participating was doing so for their chosen charity, and Liam did this for us. Thank you from all at Amble Youth Project for the words of encouragement from members of the community in regard to the new The Drop In… Meet off the Street that opened on Saturday 30 March. It will be open every Saturday 11am – 1pm and designed to be a place for young people aged 13 and up to 16 to come along to meet up with mates, socialise, have a light bite to eat if they want or a drink (small charge) and join in with some activities. Thank you to everyone who participated in helping to choose a name to be used especially for this activity. We wanted this Saturday “Drop In” to have a little bit of a different identity to the other “Drop Ins” that run in the week for 13 up to 18 years. We have decided upon Drop In… Meet off the Street www.ambleyouthproject.org for more info. Please can you support us? The Amble Youth Project would like to invite the community to help raise money for the work of the project by joining our Lottery. To sign up to play, click on our lottery link on our website www.ambleyouthproject.org. Not only will you help to raise funds for our work (50% of every £1 you pay will be returned directly back to us), but you could be in with a chance of winning up to £25,000 each week. Thank you! A sunflower from the Amble Youth Project. And why the sunflower? A sunflower represents a new way that you could join our team to support, care and assist children and young people aged from 8 up to 18 to grow and flourish. See us at the Puffin Festival on Saturday 25 May as we launch our new campaign.